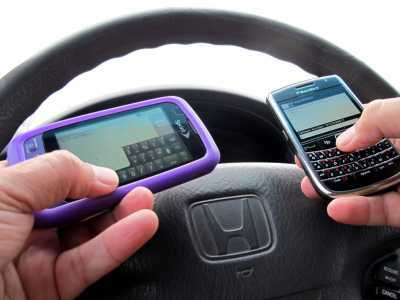 Response: We hoped to find a large reduction in distracted driving owing to the intervention method, and thus suggest that this method should be widely used during traffic education or directly towards at-risk groups. As the intervention failed to show a significant effect, we think that the many points discussing reasons for this null-effect in the article will help future research in reducing drivers’ distractions. In addition, I think that the article contains crucial information about the process of research, with special emphasis on drivers’ distractions in a Norwegian context. From regression models, we found that young males with poor attitudes are more likely to be distracted, along with those who drive more often. The article also outlines effects of attitudes, norms, perceived behavioral control and personality traits on self-reported distracted driving. Response: I hope readers will realize that “just sending a quick text” could be extremely dangerous, both for themselves and others. And that authorities will find both the failed intervention and the characterization of who are more prone to distracted driving very useful in their work to prevent of traffic accidents. Response: Future research could benefit from exploring measures of sensation-seeking and risk-taking, in addition to a re-operationalization of distractive behaviors. Specifically, they should try to avoid diffusion of effects by averaging items into an index of distraction. This entry was posted in Accidents & Violence, Author Interviews, Gender Differences and tagged accidents, driving, texts by Marie Benz MD FAAD. Bookmark the permalink.